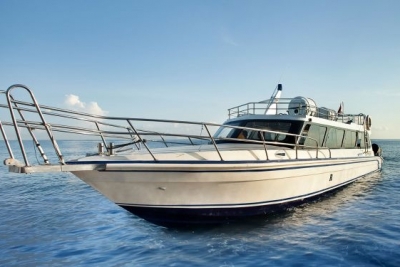 Full international safety equipment: Life rats, life jacket, ring buoys, GPS system 3 in 1, full accredited captain and crews, a special fast boat with seat design, fire extinguisher, marine VHF radio, first and aid kit. 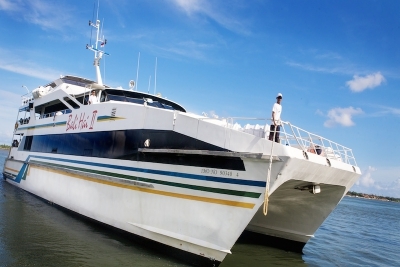 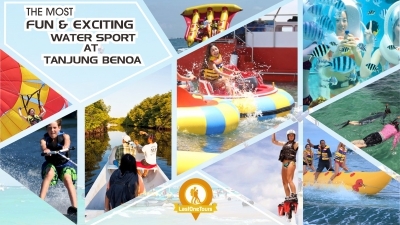 Since 1990, Bali Hai Cruises is operating exciting day cruises to Lembongan Island with fun-filled activities for the whole family. 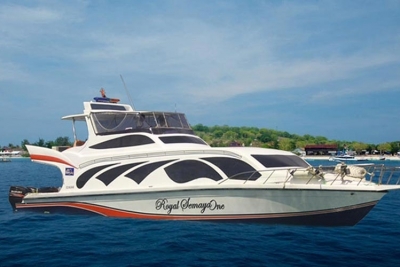 Semaya One Fast Cruise operates 2 times daily trips departing from Padang Bai in Bali to Lombok and Gili Islands.WHY WE CHOOSE PADANG BAI… because it’s less time and much faster to get Lombok and Gili’s island by sea fast boat transfer. 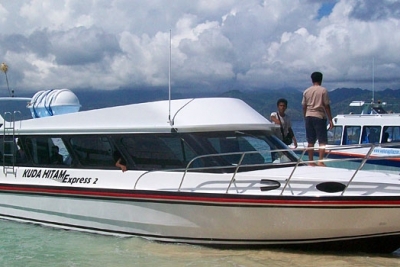 Eka Jaya Fast Boat is one of the most reliable boat service companies in Bali. 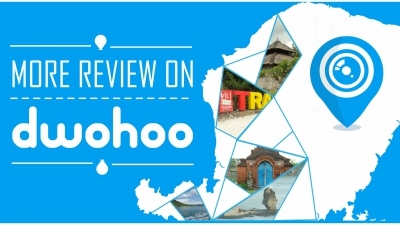 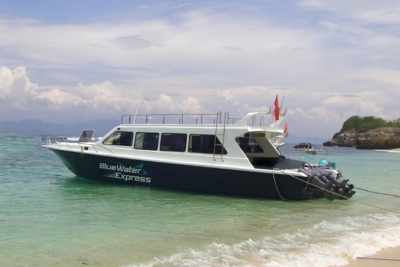 The company is famous for the Gili fast boat service between Bali, Gili Trawangan, and Teluk Nara Lombok. 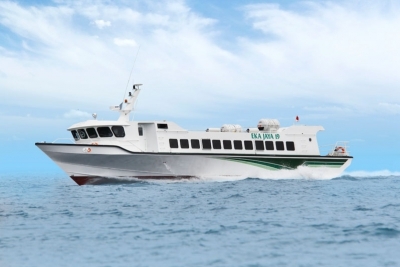 Gili Getaway's new boat is now operating. 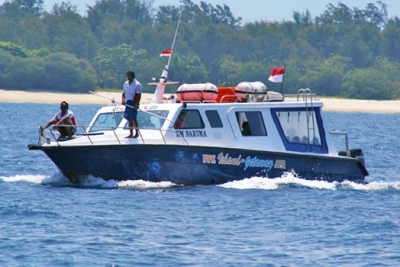 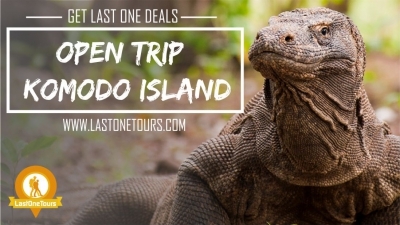 Fastest crossing directly between GIli Trawangan and Bali. 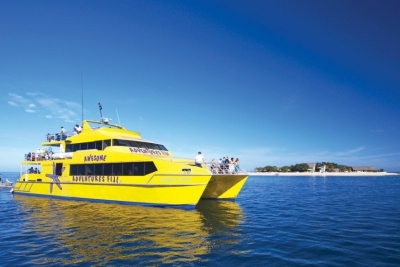 On board entertainment and sun deck make this one of the most enjoyable fast boats available. 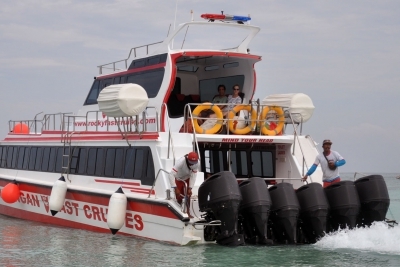 Full safety equipment and experienced crew.